Discussion in 'Navy' started by delft, Jul 7, 2017. Again, I refer to the phrase I used originally -- "substantially modify". Obviously it doesn't refer to merely "shrinking down" a larger plane. Correct. And you are now digging an even deeper hole for yourself because you are at least acknowledging the true scale of "modification" needed to magically turn a Y-7 into an H-600, and yet refusing to acknowledge how impractical (or even impossible) this would be and simultaneously unable to provide a single example in all of aircraft history where a plane was shrunk down, gutted out, reboned, and facelifted into an essentially totally different much smaller plane with an entirely different role and launch/landing methods. 1. No change as in you're thinking of leaving the landing gear in the 2 turbofan engine nacelles in the same way as E-2/H-600/Yak-44? Or in the wings? 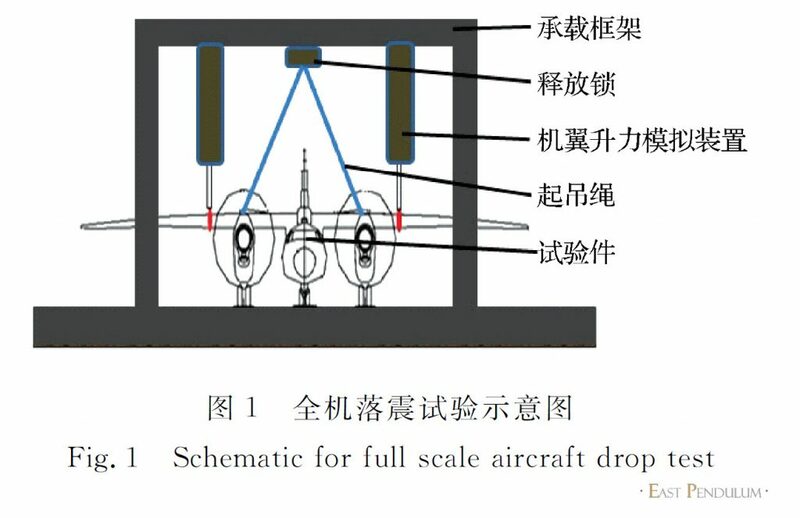 2. considering the diameter of the fuselage of H-600, moving the landing gear from the engine nacelles to the fuselage under carriage almost certainly would change the cross section of the fuselage at that location rather dramatically. I think the onus here is on you to demonstrate that a turbofan powered variant of H-600 could allow the landing gear to retain the current position. I don't think the onus is on me at all. The default position (null hypothesis) is no change; a change (such as a different location of the landing gear) requires evidence from you, not from me. The only thing that is affected by the presence of a landing gear bulge in the fuselage is the fuselage and only in the specific area impacted, i.e. the middle section of that ATR. Third, I'm not talking about relocating an H-600's landing to the fuselage. If the H-600 was going to have a turbofan engine, it would have been designed from the ground up as a turbofan-engined plane, not modified from a turbopro-engined plane, because the PLAN has no prior experience in carrier-based AEW/C aircraft at all, so there is absolutely nothing to "modify". And how many of those are derived from turboprop driven aircraft originally? If you really want to go back of course there are older 1st gen fighters like F-80 that are jet powered and with unswept, straight wings. Furthermore, when we consider contemporary turbofan powered aircraft intended for long endurance such as AEW&C and air to ground surveillance have swept wings (e.g. : P-8, E-7, and various business jets with military derivatives). Even turbofan powered aircraft designed for carriers intended for long endurance missions like S-3 and EA-6B have swept wings as well. I'm not sure how it even remotely matters that none of them were derived from turboprops, since you were asking only about how many turbofan-engine aircraft had the kind of wings that the E-2 has. So now you are moving the goalposts to something else, and worse that something else is totally irrelevant. Lastly, there are few if any direct "conversions" of turboprop driven aircraft to become turbofan or jet powered aircraft without very substantial modifications causing it in effect to become an entirely new aircraft. I'm not suggesting the H-600 can be "converted" into a turbofan-engine plane with only minor modifications. Not's not what I said. What I'm saying is that a turbofan H-600 would have been designed from the ground up as a turbofan H-600, since AGAIN, there are no blueprints that the PLAN possesses for a turboprop AEW/C plane that they would then have to "convert" into a turbofan AEW. The PLAN started with literally nothing and built the H-600 from the ground up. You keep getting stuck in the mindset of the PLAN having some kind of baseline "expertise" in a turboprop AEW and having to take some kind of extra risk to create a turbofan AEW when it isn't even remotely the case. Neither never progressed beyond paper and models. Both were canceled leaving only the Kuznetsov and Helicopters. The Kuz then ended up in Ukraine as Russian boarders shrank. The Russians recovered her but the sister ship was left until it was bought and towed to China. They were canceled due to the cancelation of the Soviet Union, not because either design was flawed. Had the USSR not been canceled, both designs would almost certainly have gone forward into production. This left the Navy with the E2 and no other options. Part if of its mission was absorbed by the CMV22 and perhaps the MU(X) program will take up what is left. Read carefully what I said. I said that the USN did not specifically call for a turbofan-engine design, which is true. In fact "logistics support and aerial refueling" call for the same low-medium speed highly fuel-efficient aircraft that AEW/C planes call for. In the early 1990s, Lockheed proposed new production of a dedicated tanker version of the S-3B, of course known tentatively as the "KS-3B". It was similar in concept to the KS-3A, though it was to use a buddy refueling pod to carry its hose assembly instead of having it built in. The Navy didn't bite on this idea either, and it never got to the demonstration stage. A proposal for an airborne early warning (AEW) version of the Viking was another non-starter. I think I've been quite consistent in using the word "substantially" from the beginning. If you've chosen to not place weight on that word then that is your choice. I think the onus is very much on you, because you would need to demonstrate the idea of having landing gear in the turbofan nacelles to be a viable configuration in the first place. I certainly agree that it would have to be designed ground up as a turbofan powered aircraft, and that has been my entire point, that developing such an aircraft would be higher risk than developing a turboprop driven aircraft given the PRC aerospace industry's prior experience. I was under the impression that you were saying that the H-600 airframe could be modified into a turbofan propelled aircraft without significant change. If you're saying that they would've developed an airframe intended for turbofans in the first place then that's an entirely different kettle of fish. I believe the PRC aerospace industry does have much more experience in turboprop driven small and medium aircraft that would be relevant for developing a turboprop carrier AEW&C yes. If the PRC aerospace industry had relevant experience in turbofan driven aircraft of that size as well then I wouldn't be making this argument. getready and ZeEa5KPul like this. So far the best and clearest images of the KJ-600 carrierborne AEW mock up ontop the carrier test facility in Wuhan. N00813, bruceb1959, jobjed and 11 others like this. Quick Query. The designation "H-600" and "KJ-600" are used to interchangeably here, for what appears to be the same aircraft. "KJ" would be in keeping for a PLAAF bird, but would "H" suggest navy? More confusingly, "H" is also the prefix for the bombers: H-6, H-20. bruceb1959 and Deino like this. Fits nicely to the topic ... roll out seems to be imminent ! While the big blocks of the 3rd Chinese aircraft carrier come out one after the other at the Shanghai shipyard Jiangnan Changxing, for a dry docking probably in the course of 2019 according to our estimate, another major amplifier component of the Chinese naval air force - AWACS embarked, able to take off from the flight deck using a catapult to ensure the surveillance of the sky as to the sea around the group - should also leave the assembly line and realize its first flight very soon. If this embedded AWACS project remains sensitive and has never appeared in any of the public documents, at least not directly named, we know that Chinese institutions have not stopped working on the various technical subjects since the early 2000s. . After the first concrete signs of the progress of the project in 2016 (see our " The Future of Chinese Embedded AWACS Emerging " and " One more step towards a Chinese embedded AWACS "), we have learned recently that the 603 Xi Institute In December 2018, it led the first real-scale drop test in China for an "onboard device". 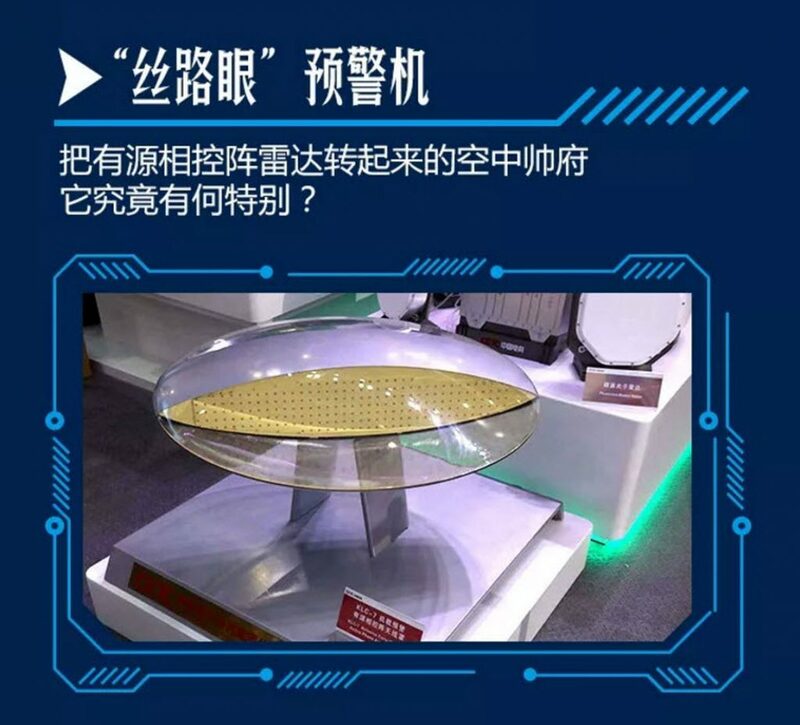 The text published on April 2 on the account of this AVIC consulting firm Weixin, specializing in the design of transport aircraft and bombers, obviously did not mention that this is a test for the AWACS embedded. It was even re-edited the day after so that the only word "embedded device" (舰载 机) initially appeared at the end of the article is deleted. But thanks to this text it is now known that these fall tests should be carried out before the "detailed design end" (详细 设计 发 图) milestone of the aircraft, and therefore before the availability of industrial plans, to serve as the one of the validation points on the design of the payloads, which would include the landing gear and the main radar system. It should be noted that as an example, the FC-1 program had passed its milestone from the end of detailed design in October 2002, and the final assembly of the first prototype was completed in May 2003, before the inaugural flight which finally occurred in the month of August of the same year. Of course this is a big first for China, an AWACS embedded, so the time needed between the start of the industrial phase and the first flight of the prototype could be naturally more consistent. It is then reasonable to think that the roll-out of the first Chinese AWACS could take place by the end of 2019 or 2020. As for the type of radar chosen, rumors speak of an active antenna radar (AESA) mounted on a rotating disk, to favor the "width" of the radar so the number of modules installed, the power and the range, to the detriment of the rate if it had been a three-sided fixed configuration as for the KJ-2000 and the KJ-500. A quick calculation shows that in "back-to-back" configuration, the "width" of each radar face is about 15% higher than in the configuration of three fixed faces, but all of this remains to be confirmed. At the last Zhuhai Air Show in November 2018, Institute 14 (NRIET) of the Chinese electronics group CETC presented a video in which an AWACS, with a back-to-back AESA radar, is unveiled at public. The aircraft, of rather average size and propelled by two turboprop engines, has a quadruple vertical tail. The set is reminiscent of the AWACS embedded in Chinese research papers, and of course the famous Northrop Grumman E-2 Hawkeye . According to the description, this Chinese AWACS carries with it the KLC-7 radar, also called " Silk Road Eye " (丝路 眼), which is now offered for export. The latter is able to detect and track air targets, such as aircraft and flying missiles flying at very low altitude, as well as naval targets, and provide their coordinates in 3 dimensions. If we ignore its connection with the Chinese AWACS project that is under development, the Chinese radar operator says that China is the only country in the world to offer this type of radar on the international market today, while the AN / APY-9 developed by Lockheed Martin for the E-2D Advanced Hawkeye program is likely to be in the same radar category even if the version is only for the US Army at the moment. Finally, it should be noted that an embedded AWACS model is mounted "on board" the aircraft carrier, in fact an electromagnetic compatibility study platform of the 701 Institute (CSIC) in Wuhan. This building is in transformation since 2016 to take the shape of the island of the 3rd Chinese aircraft carrier, a CATOBAR. 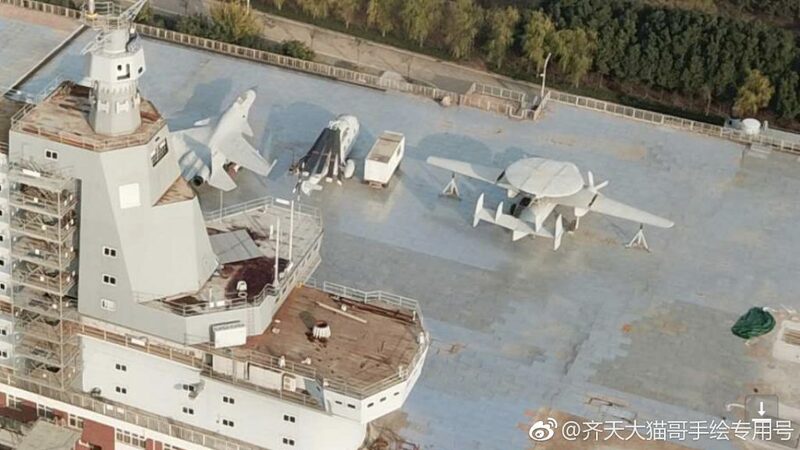 The photos as of January 2017 show that the model is on the "flight deck" alongside a Z-8 helicopter and a J-15 onboard fighter, both in the form of a marquette also. N00813, mr.bean, Brumby and 2 others like this. They could build one and launch it but can they fully commission a set of 4 x KJ-600 for 003 in 5 years? antiterror13, Brumby, bd popeye and 1 other person like this. Absolutely, I don’t think the Hawkeye gets the recognition it deserves, in my opinion it’s one of the greatest military aircraft designs ever. AEW requires a lot of computer power which in turn often needs an airliner sized airframe to carry it. To get all that gear into an airframe light and compact enough to operate off a carrier, is remarkable. I don’t think the Soviets ever got theirs past the mock up stage, China will no doubt be the second country to develop that capability, there’ll be some setbacks along the way but they’re prepared to throw enough money at it. antiterror13, bd popeye and Brumby like this. Absolutely, I don’t think the Hawkeye gets the recognition it deserves, in my opinion it’s one of the greatest military aircraft designs ever. A carrier air wing needs an AEW aircraft to achieve full functionality. Without proper early warning and guidance a modern air wing loses a lot of strike ablity. The E-3 airborne warning and control system (AWACS) is built by Boeing Defense & Space Group. The role of the E-3 is to carry out airborne surveillance, and command, control and communications (C3) functions for both tactical and air defence forces. In a tactical role, the E-3 can detect and track hostile aircraft operating at low altitudes over any terrain, and can identify and control friendly aircraft in the same airspace. In the strategic defence role, the E-3 provides the means to detect, identify, track and intercept airborne threats. N00813, asif iqbal and Brumby like this.